I am so thankful to be able to continue to share information and stories with you all. I learn so much from reading about other people's journeys, as well. I am so grateful that we live in this digital age, with easy access to each other, across long distances. I know it means we are sometimes overwhelmed, but it can also be a source of unburdening and relief, to know that we are not alone and there are others out there, who understand. Thank you to all who take the time to read my posts, as I know I am not short on words - ha! 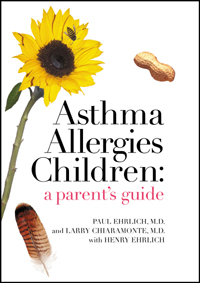 If you saw my review of Asthma Allergies Children: A Parent's Guide, you know how much I enjoyed it and since I want everyone to have it, I guess I will have to start by putting it in the hands of one person. So, that's part one of my giveaway. 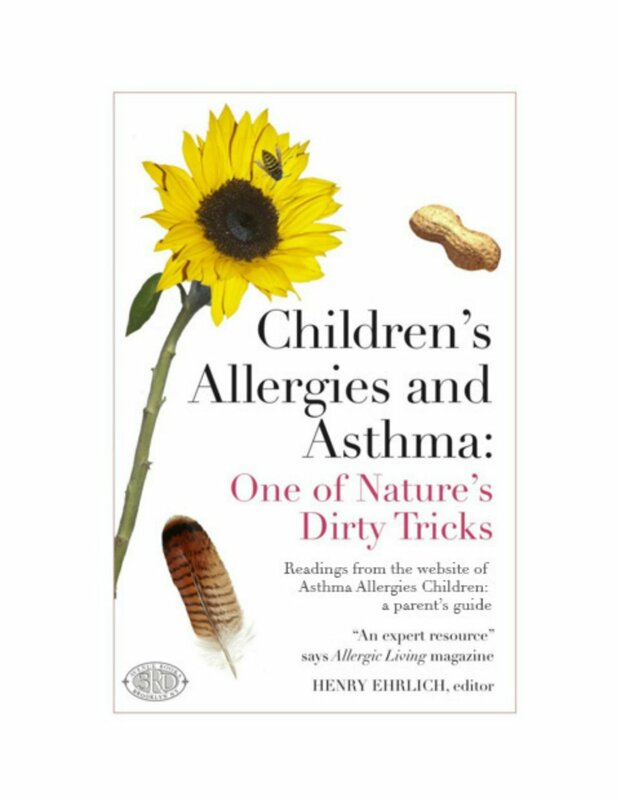 I'm also including the e-Book, Children's Allergies and Asthma: One of Nature's Dirty Tricks, which contains 89 of the 200+ articles from AsthmaAllergiesChildren.com. Part two is this cool Nostalgia Electrics 4-in-1 Bakery Bites Express that I found. 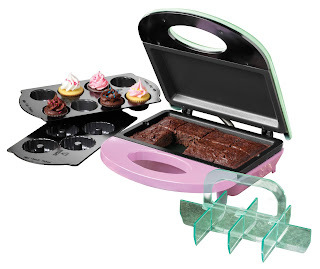 I have the Nostalgia Electrics Cake Pop & Donut Hole Bakery and it works really well, so I can only imagine that this works equally well and makes 4 kinds of treats - brownies, cookies, bundt cakes, and cupcakes! I want to give you something fun to make some yummy treats for your little ones to munch on and keep them busy, while you read this great book! When you make your raffle entries, there is an option to enter a question to ask one of the authors of the book, Dr. Paul Ehrlich. (From the back book cover:) "Dr. Ehrlich is a clinical assistant professor at New York University School of Medicine, an attending physician at Beth Israel Medical Center and the New York Eye & Ear Infirmary, and founder of Project E.R.A.S.E., serving asthmatic children in inner-city public schools. For more than a decade, he has consistently made the New York Magazine Best Doctors in New York list." The winner's question will be answered and the other answers submitted will be considered for a future blog post. (If the winner does not submit a question, one will be chosen from the pool.) He cannot dispense medical advice, of course, but he would answer in a manner similar to what he does on his radio appearances on Sirius XM Radio. Giveaway Notes: The 4-in-1 bakery has a longer-than-usual ship time, according to Amazon.com, so it might take a month to arrive. I am buying the prizes, myself, via Amazon Prime, so please bear with me. :) If for any reason the unit it not available at the time the raffle concludes, I can substitute the cake pop maker or similarly priced gadget. Also note that you can enter on behalf of a friend, if you already have one or both of the prizes. This raffle is open to anyone I can ship to via Amazon Prime, without incurring additional shipping costs, so that's most likely the continental U.S., I'm afraid. If you are the winner, you will be contacted to give me the address to which I should ship each prize. A wonderful thing about this book is that it doesn't exist in a vacuum. It's part of an organic, mutually-educational system. The first book I purchased was actually the eBook, Children's Allergies and Asthma: One of Nature's Dirty Tricks, which contains a selection of 89 of the 200+ articles from their website AsthmaAllergiesChildren.com. They state that "medicine moves faster than print" and they've developed what I like to call "Atopic University". With the completion of Asthma Allergies Children: A Parent's Guide, you get your "degree" and the Children's Allergies and Asthma e-book and subsequent articles on asthmaallergieschildren.com, give you your "continuing education" credits. They also have a "Parent Mailbag" section, where you can ask them questions, which I equate to my former college professors' "office hours". It's a chance to have your additional questions answered and further your education. I say it's "mutually educational" because the authors and doctors interact with readers and continue to learn from their readers/patients, just as they've done over their careers. Dr. Paul Ehrlich's book dedication reads, "I would like to dedicate this book to my patients, who have taught me so much over so many years." The website allows that learning process to continue, across a wider base. On June 10, 2001, I was quoted in the New York Times Magazine as saying: I tell my patients, if people point at you when you walk down the street and say, "Look at that neurotic parent," then and only then are you being careful enough. I said it, and I meant it, but upon reflection, it bears further explanation. By "neurotic" I meant a selfless dedication that to outsiders could appear excessive. "They" don't understand the threat to your child. You do. One parent quoted in the article said, "After my son was rushed to the doctor because he touched an egg noodle - just touched it - my friends finally apologized to me for what they'd been saying behind my back." "They" don't understand what life is like...endlessly reading food packages for dangerous ingredients, never knowing whether something is not on the label, wondering when you enter a restaurant if the kitchen is well run or subtly contaminated. For the parent of a severely food-allergic child, the world is full of hidden dangers. Food companies and their lapdogs in government look more conspiratorial than the CIA in an Oliver Stone movie. The regulations and the bureaucracies growing up to cope with the problems are daunting, frustrating, and sometimes contradictory. You can't be too careful. There used to be a saying, "Just because you're paranoid doesn't mean those people aren't looking at you. At the same time, reality is hard enough. Food allergy turns childhood into a time of Alice in Wonderland logic. Up is down and black is white. Don't let it reach the point of unreality. That NYT article was from 2001, when food allergies didn't have as much attention as they do, now, and Dr. Paul Ehrlich already "got it". This is one my favorite "letters" on the subject of food allergy precautions. It validates all we do to keep our children safe, yet reminds us at the end to keep things in check and based in reality. Now, even though I've included this favorite vignette of mine, I don't want you to think the whole book is just comforting, sympathizing notes. This book is packed with medical information! It covers all aspects of allergy - skin allergies, environmental allergies, food allergies, asthma, testing, treatments, etc. It also covers the emotional aspects, marital and inter-familial aspects, and the stages of an allergic life. There's even a table of medications, at the end, with the symptoms they treat, side effects and additional notes. I am grateful to the authors for sharing their wisdom and time, as well as the continued effort they put into their website. I'm so glad to have found these valuable resources and wanted to share them with you all. I hope you will find them equally valuable and enlightening. When I posted about the new Auvi-Q™ epinephrine auto-injector on my personal Facebook page, a friend whom I hadn't seen in a while, posted about a reaction her husband had to raw almonds* that I felt would be helpful to share with others, in the hopes that it might one day save a life. She has my sincere thanks for sharing her family's story and I'm glad everyone is alive and well at the end of this one. Background: Selina's husband's name is Mark and they have 4 children - a 4-year-old daughter, and three boys ages 7, 8 and 17. A&A: Did your husband have a history of food allergies? Selina: Mark had no history of food allergies prior to this reaction he had and was not aware at all that he was allergic to almonds. What's ironic is that we had an EpiPen® in his truck, but everything happened so fast that I didn't even think of it. A few years ago, he was attacked by Africanized honey bees. He was stung nearly 50 times, so he was given the pen in case he was stung again and had an allergic reaction. I wish I had thought about the pen. Mark's sister has some food allergies, but she only knew about them because she saw an allergist that tested her for several things. She never had any reactions to eating anything either. A&A: Please describe what happened that evening. Selina: It was the Friday evening after Thanksgiving. We were all in our living room watching a movie with the kids before bed time. Mark was sitting in the recliner eating a bag of almonds like they were popcorn. He got up and went in the kitchen to get a drink because he said it felt like something was caught in his throat. When he came out of the kitchen, I could see that he had a "bag" under one eye and looked really tired. I told him he should go to bed. He went to the bathroom way in the back of the house. He was in there for a while. I thought he was taking a shower, but when he came out he looked horrible. He told me he had been throwing up and that he felt weird. He kept saying there was something wrong with his throat. By this time both eyes had bags under them. He went in the bathroom again and threw up more. When he came out this time, his cheeks looked like they were sagging, and he was having a really hard time breathing. His mouth and chin were numb, and he was crying because he thought he was having a stroke. I told him to stick his tongue out (to check for stroke), but everything seemed normal as far as that. I wanted to call 911, but he kept insisting that he was okay, and he just wanted to go to bed. By this time, I knew it was an allergic reaction, and I knew it was the almonds, because that was the only thing he had eaten. I called his mom because she lives a couple of blocks away, and I knew she would make him go to the hospital. Plus, my kids were crying and hysterical because they were scared, so I needed help so I could comfort them. When she got to our house, she called her son-in-law, who is a paramedic, and he told us to get him to the E.R. immediately. We didn't want to call 911 because we knew it would be faster if Pat (his mom) just took him. They left, and I put my boys to bed really fast and took Summer with me to the hospital. My 17 year old stayed home with my boys. When Pat left my house, there was a police car stopped right by my house. She flagged him down, told him Mark couldn't breathe, and he quickly escorted her to the E.R. The officer had called in to the hospital, which is within a mile of our house, so they were ready for him when they got there. Nine doctors/nurses were there waiting, and they immediately took him back and started giving him injections. They gave him epinephrine, Pepcid, Benadryl, and 3 others that I don't remember the names of. I got to the hospital within 10 minutes after they had left my house, and when I saw Mark, he looked so much worse. His eyes were swollen shut. He had the oxygen mask on, but was having a horrible time trying to breathe. He was starting to hyperventilate, but he finally calmed down, and the meds started working pretty fast. From the time Mark started having symptoms to the time they left my house to go to the hospital was only about 10 minutes. It happened very fast! The E.R. doctor admitted Mark. They kept him Friday and Saturday night because he could have had another "episode". [This is a precaution in case someone has what's known as a biphasic reaction, where symptoms can return 48-72 hours after an anaphylactic reaction. I'm glad they kept him, because many ERs discharge patients right away, which is not the proper protocol.] That next Monday, his muscles all over his entire body were extremely sore. I read that this is normal after your body releases natural antihistamines. Anyway, the way it started was the feeling that something was caught in his throat, which of course was his airway closing. Then his mouth and lower face started tingling and got numb. He looked really old and his entire face looked like it was sagging. If we had waited just a few more minutes to get to the hospital, his airway would have closed completely. If he wasn't so stubborn, I would have called 911 right away, and I wish I had. I also wish I had thought about that EpiPen® that was in the truck. It was expired, but I'm sure it wouldn't have hurt to use it. Now we have 4 of our own, and his mom and sister have extras to keep at their homes. [Kudos to them for being prepared!] The allergist also gave him a little capsule full of pills [Steroids, perhaps?] to carry on his key chain to take if he has another reaction. Sorry this is so long, but I wanted you to know how he changed and the feelings he was having over just a period of a few minutes. It was very fast. Every minute that went by he looked even worse. I knew he wasn't okay. Even when his mom insisted to take him to the hospital, he kept refusing. The thing that got him to go was that she asked him, "Do you want to die right here with your kids watching?" They were in the hallway crying. I wished she didn't say that in front of them, but I'm glad it got him to agree to go. I am very thankful that things happened the way they did with the officer nearby, and I'm glad my mother-in-law was home when I called her. A&A: Don't worry, my posts are hardly ever short, and this is a very important one! It must have been so scary for you all and it is wonderful, as you said, that everything worked out, as it did. Thank you, again, for sharing your story, as I know it's never fun to relive such moments. "He has eaten lots of almonds before. The allergist tested him for roasted almonds, and he wasn't allergic, so they sent him to HEB [local grocery store] to get the exact almonds that he ate which were RAW, and he tested allergic to them. [W]e are playing it safe and staying away from all nuts now." I did a little research on allergies to raw almonds vs. roasted almonds and found this article. I agree that caution must be taken, even if past reactions have been "mild". So much of the focus, lately, has been on children with food allergies, but food allergies can develop at any time, even in adults. Even if you feel you have no reason to suspect you will develop food allergy, you should know the signs, so you can recognize them in yourself or someone around you. Here are two great sites for learning about anaphylaxis: Kids with Food Allergies and Food Allergy Research & Education (FARE)/(formerly FAAN). If you are an otherwise healthy person, and you are having trouble breathing for any reason - seek medical attention ASAP! In the case of anaphylaxis, there is a point at which is can be "too late" and the epinephrine might not be able to reverse the effects. You need it in a timely manner. Do not wait around to see if it will "go away". Benadryl will not stop airway constriction. I've stated it before, and I'll state it, again: BENADRYL HAS NO LIFE-SAVING CAPABILITIES! If you are at-risk for anaphylaxis, ALWAYS carry two doses of epinephrine with you. There's a new device called the Auvi-Q (Allerject in Canada) that is ultra-portable and even talks you through the process. There is really no excuse not to carry it! Don't be afraid of epinephrine! Here are a couple of my posts that will hopefully help alleviate one's fears of epinephrine: Take the Fear Out of Epinephrine and Epi Epiphany. Many thanks to this family for sharing their story. I am always grateful when I can share cautionary tales without tragic endings. Not all stories end so well, unfortunately, so please learn what you can to stay safe!